Firstly I would like to tell myself, well done Mel. That’s week 4 out the way and you are doing well. You may have some ups and downs weekly but your sticking to it and making your world a better place. How are you doing? I know a lot of people are trying to self care out this year and I would love to hear your tips and tricks to keep your self care going. So firstly lets start with *my self care journal. This week we have been learning about being a spoonie! 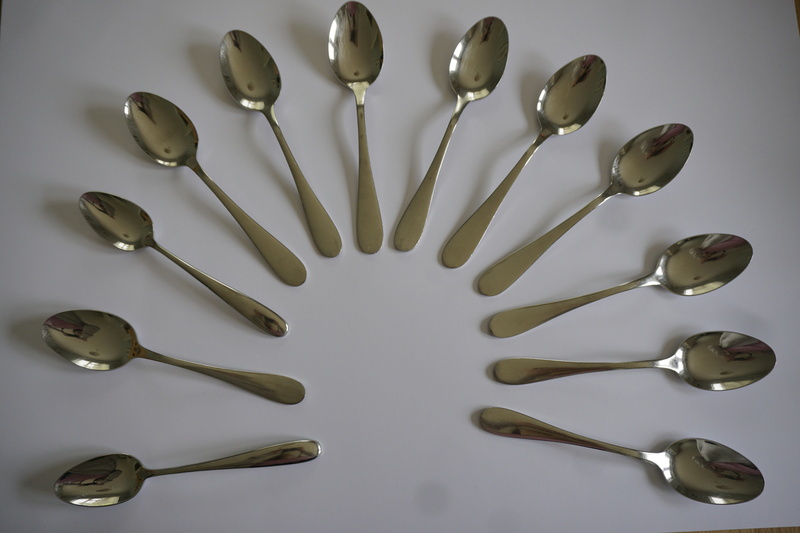 Who knows about the spoon theory? If you don’t I will explain it anyway. I learnt about the spoon theory when I had my first operation 4 years ago. Basically your day works on 12 spoons. Its up to you to work out how many spoons it takes to have a shower, work, eat, socialise, etc. 3 spoons could take someone to shower but it could also take another person 5 spoons. When you get use to the spoon theory you’ll work out how many spoons it takes to do certain things. Of course a bad day can take more spoons to do certain things than others. 12 spoons is your limit per day though. If you run out by lunch time, your running on nothing till bedtime. The struggle will be real. Do you think you could work on spoons? How many spoons do you think it would take you to do the hardest thing in your day? The spoon theory doesn’t really work for me. But its definitely something to try if you are new to the world of self care. I now know when I am my best and when I am not. When I am good I try to do as much as I can, then other times I have to do something every day to balance out the hardness of a certain task. For me that would be something like the house work. But then when I am feeling amazing I can easily do the house work in a couple of hours max. Like I mentioned last week, the book asks the same questions daily. Something I have realised is that I am so grateful for good people. Its been something I have written down a lot in January. If I am having a bad day, or something frustrates me, then its really helped me having good people round me. This week has definitely had its downs. I have been working extremely hard, in my full time job and in the evenings for my social media platforms. I guess things have got a bit to much for me at certain times of the week. Lets put it this way I felt better for a little cry. We started the week with me getting a hospital appointment. Which is good and bad at the same time but anyway I needed it. It was a bonus because It was in the evening so I didn’t have to take any time off work. The thing is the UK decided to snow. It wasn’t the worst but it definitely was snowing hard on the 20 minute journey home from my parents. Hospital is 50 minutes away from mine. This week has been quiet social wise. It was payday Friday so its always tight the last week especially after Christmas. January is always a long month because we get paid early for Christmas. To be fair though I was happy for a chilled week. It was what my body and self needed and time for TLC which was majorly needed. 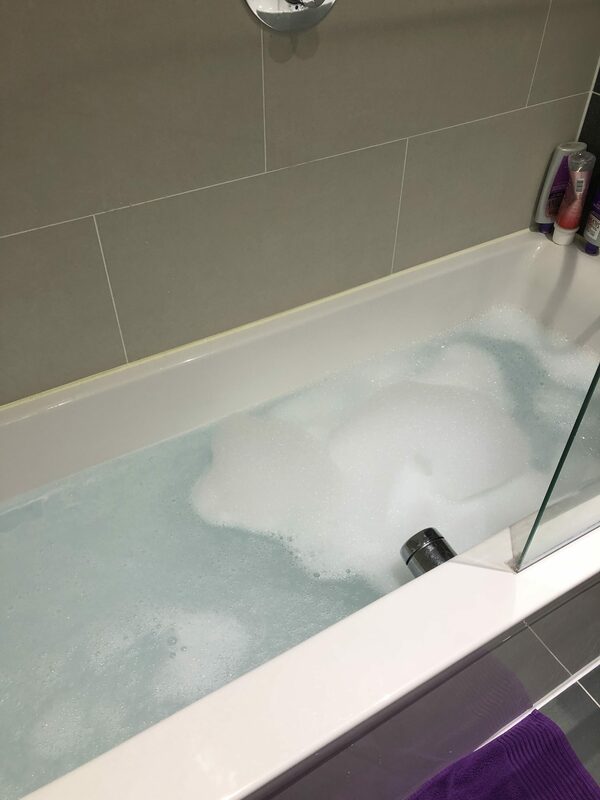 It meant it could be a week of long hot bubble baths and meditating for 15 minutes a day. Meat free meals for dinner, except Tuesday. People that know I was 90% vegetarian for a while but I fancied chicken for a bit. But this week I was back to it meat free. The only day I ate meat for dinner was Tuesday and I had mini toad in the holes and mash potato. I have loved the meat free meals. I just feel good for them. Its definitely been a healthier week food wise. I haven’t felt overly well this week to be honest. I have just felt off colour, strange really. I also have this weird spots or rash. It looks like I have dribbled but I haven’t. LOL. Anyway no matter what I got up, got dressed and carried on. It try get rid of this weirdness on my face I have tried some face masks this week. I love a good pamper. I was so excited that it was the weekend by the time it got to Friday. It was pay day, it was time for a lay in. No plans other than filming and food shop. I went to sleep at 10pm on Friday night as usual and woke at 9:40am Saturday. It was a struggle to get out of bed. I looked at the clock and I was like eurgh, I think I could of stayed in bed all day. Anyway I managed to drag myself out of bed and filmed my breakfast. 2 slices of seeded toasted bread and a pear. I came back to bed and thought of what to do first. I went to my parents for the rest of the day. I literally laid on the children’s bed as soon as I got there, in the pile of teddies. We decided to have a chilled day or morning until I felt a little better. I drunk some lemon squash which is something I don’t drink often. I sat and started to make Aurelia’s first birthday present. More to come middle of February on that one. But it was a time I could just do something I love and chill out till I felt better. After lunch we went shopping of course. Of course I love to shop, I did good though just one dress for £20. Bargain! I did get the birthday cards I needed too. I was home by half four and ready for bed. Again I still needed to film etc but I did what my body needed. Thats what I want to do this year and how to love myself more. Lets think of that positively though, a really lazy Saturday I still achieved to finish Aurelia’s present 3 weeks ahead of her birthday, I have a lay in, which definitely helps me get through the week. I got home early enough to be able to have a shower and wash my hair, eat some food and get stuff I needed to get done before Casualty. Even though this has been a bad week for me. I am grateful for the fact I saw I was struggling and let my body do what it needed. I am super glad January is on its way out and February is full of birthdays, cakes and socialising. I have made brave moves and choices in what I needed to do and how to do them. When I needed a little TLC and just let myself have a bad week. Everyone has weeks that are bad or they feel unwell and thats really ok. Even bad weeks have there positives. Think I have saved money this week, I have cried so that helped me feel better. I have put make up on everyday, and showed my face. I haven’t given up on life and what I enjoy, I have carried on. Meat free Monday wasn’t just Monday and that makes me feel better. I managed to put a face mask on. I’ve realised I need new glasses, and I had a lay in! 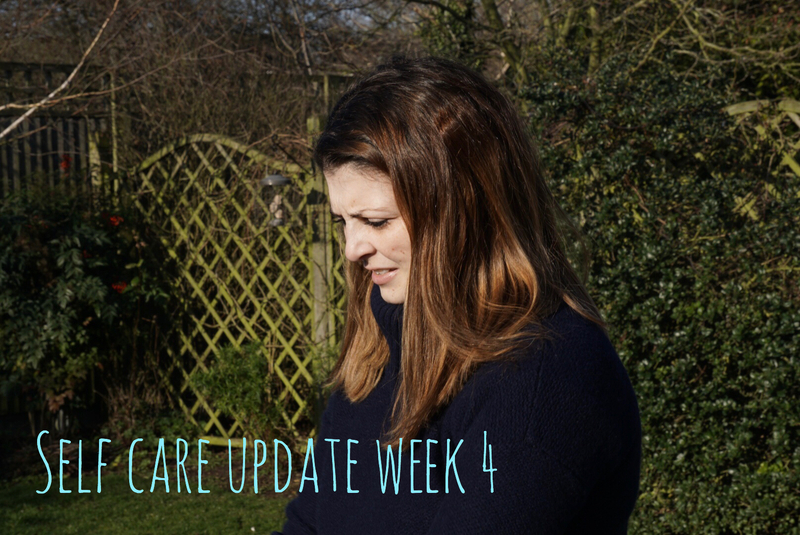 How was your week four? I really hope the week to come is better. If you had a bad week, remember your not alone and this “bad time” will pass. If someone keeps asking you for something, just think of it as your in demand. You are needed. If your an endo warrior remember to fight like a girl. No one will stop us and just think that you can do your house work tomorrow if you struggled today. What self care is your go to? understand thos topic. You understand so much its almost hard to argue with you (not that I really wouhld want to?HaHa).